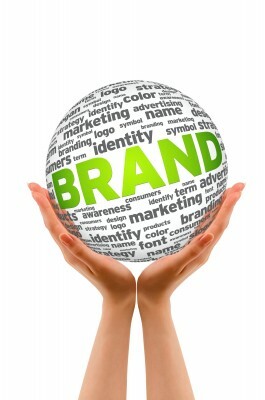 A Talent Management Truth: Your Employees ARE Your Brand! North Americans tend to be a results-oriented bunch. We applaud an endeavor’s result, but are sometimes myopic about how that result was achieved. The same can be said about some business leaders. They revel in high net promoter scores and loyal brand consumers, but fail to appreciate the efforts of those who are nurturing customer relationships on a daily basis to attain those results. The Hay Group publishes the World’s Most Admired Companies (WMAC) list. A study of the organizations on the WMAC list analyzed the connection between employee engagement and a company’s business development and customer relationships. Does engagement create a competitive advantage? An overwhelming 94 percent of respondents from the WMAC believe employee engagement creates a competitive advantage in the marketplace and leads to better relationships with customers. Additionally, 71 percent of respondents believe their company is successful at linking employee engagement to customer satisfaction. “Employee engagement is increasingly being recognized as a major driver of business performance, revealing important information about an organization’s health and future prospects,” says Mark Royal, a senior consultant with Hay Group Insight. A wealth of other research also supports the evidence that employees are the key to brand success, frequently determining positive or negative customer experiences, and ultimately, influencing a customer’s decision to remain loyal or not. Employees not only represent the brand to the customer — they become the brand. Overwhelming opportunity exists for business leaders to increase customer loyalty and profitability by creating the same buy-in to products, services, and organizational philosophy among its employees as they would for customers. Royal Bank of Canada also sees the value in this approach. According to their research, the level of employee commitment accounts for 60 to 80 percent of bank customer satisfaction, and 40 percent of the difference of how customers view the bank’s services can be linked directly to customer relationships with bank staff. 70 percent of customer brand perception is determined by experiences with people. These study findings demonstrate that employees directly contribute to customer disappointment or customer delight, and the best path to achieving loyal consumers is through the development of motivated and engaged employees.